Let's start by learning piano notes in the treble clef. 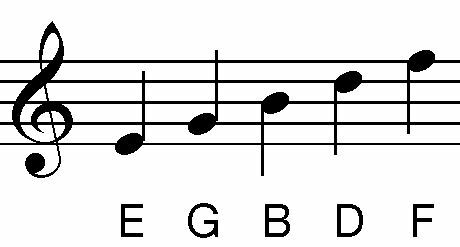 Usually, you play notes with your right hand (RH) in this clef. If you can find middle C on the piano, the E on the first line of the treble clef staff, is 2 notes above that. To memorize the spaces, remember the word FACE. Middle C is the first note pictured on the left. Note names alternate line to space as they go up or down. Things are similar but slightly different for the bass clef. The notes and the sayings are different. 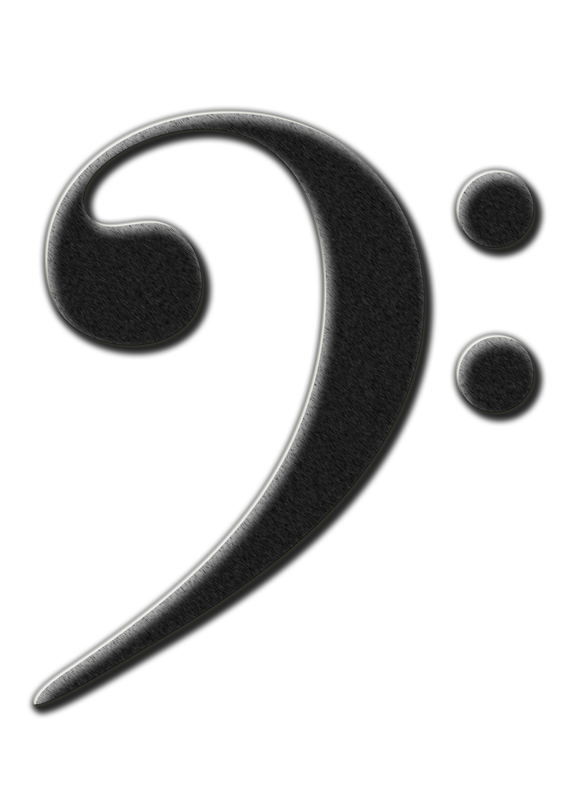 Bass clef is generally used for the left hand. Middle C is the top note pictured on the left. It is the same note as the middle C in the treble clef above. Piece 1 (use your right hand, the finger numbers are there for you). Piece 2 (use your left hand, the finger numbers are there for you). If you need more information on reading music, you can read more about piano music notes here. Return from Piano Notes to Piano Lessons Info Homepage.